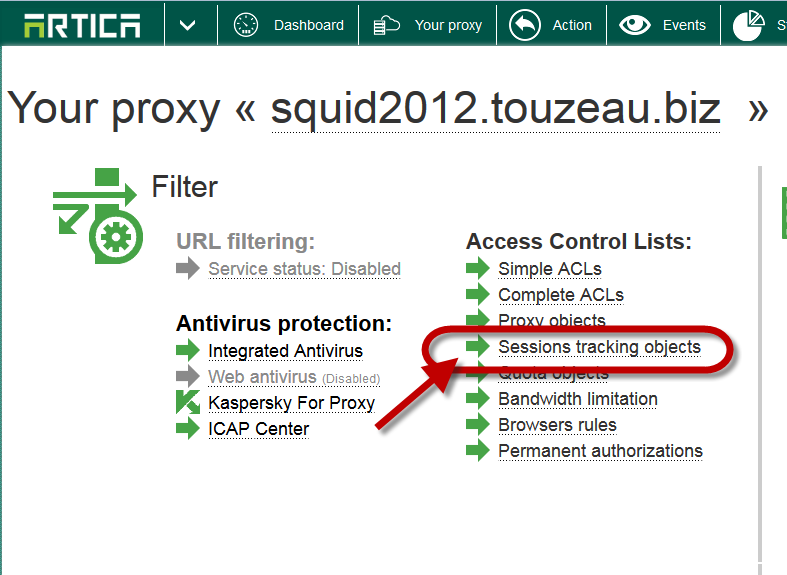 Session tracking is a set of ACLs object that create sessions. Sessions can be time limited and can renew using other ACLs. This method allows you to create a kind of splash screen aka IT Charters and force user to return back after a period. 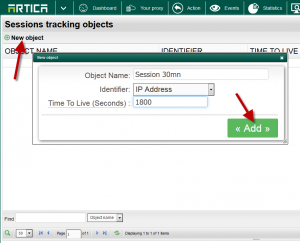 Define the session tracking object. Define your session object name. Set in seconds the maximal time of a session. 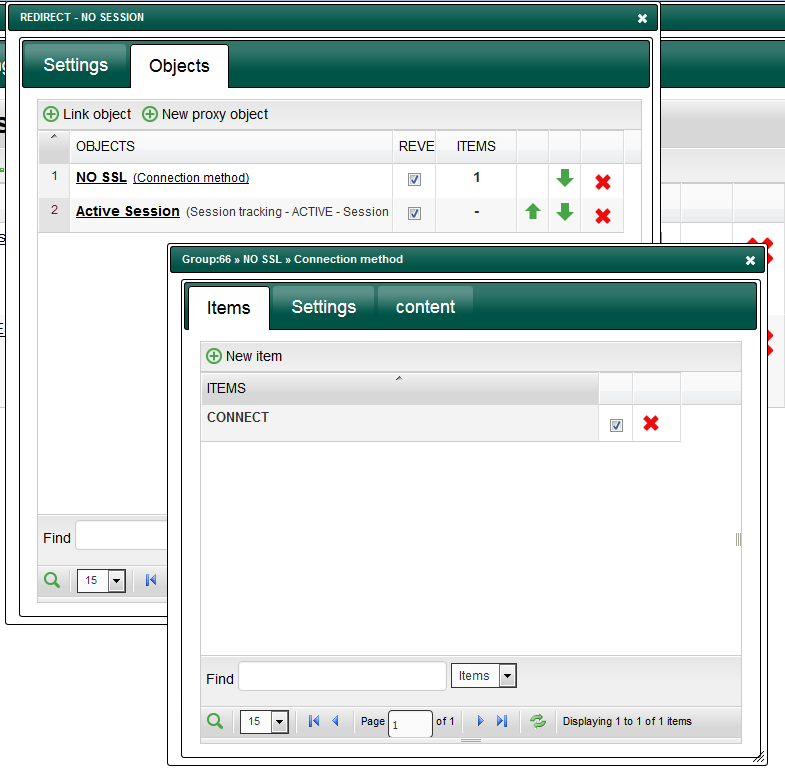 The sequence, LOGIN, ACTIVE, LOGOUT is a set of 3 rules. For better reading, we will use the “ACL group” in order to group these 2 or 3 acls inside one ACL rule group. Click on new group on the main table and set a name. Inside this group, we will create first the method for the user to create the session. 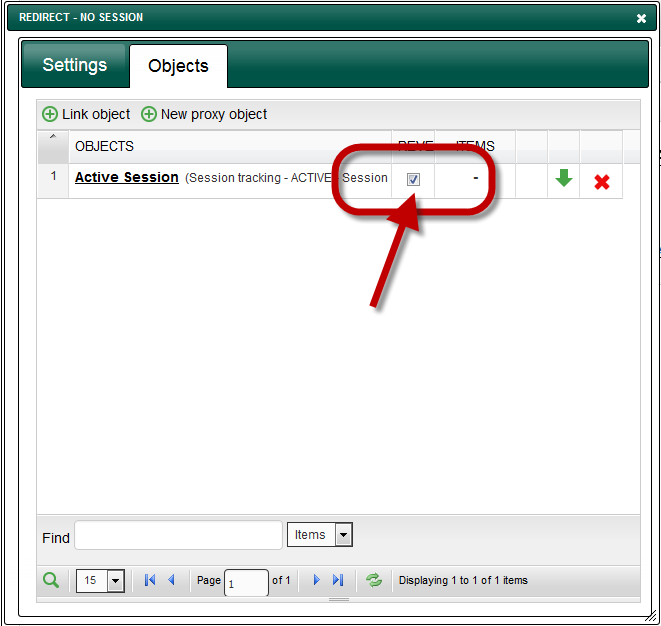 On the objects tab, you have to create first the object that will enable the session. It should be anything but to make sense it should be a domain or a url regex. For example, we can imagine that establishing a session to the website : itcharter-logon.company.tld will create the session. 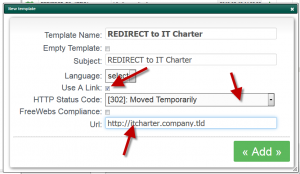 In other way you can create a website called itcharter.company.tld and create a button that redirect access to http://itcharter.company.tld?session=yes, the regex itcharter.company.tld\?session=yes can be used in this method. 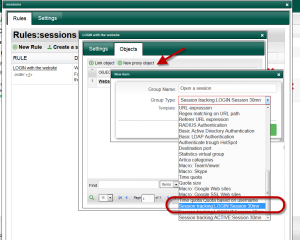 Click on New proxy object in order to create the LOGIN session. The first ACL is added, it allow users to establish a session to the target item and create the session time. 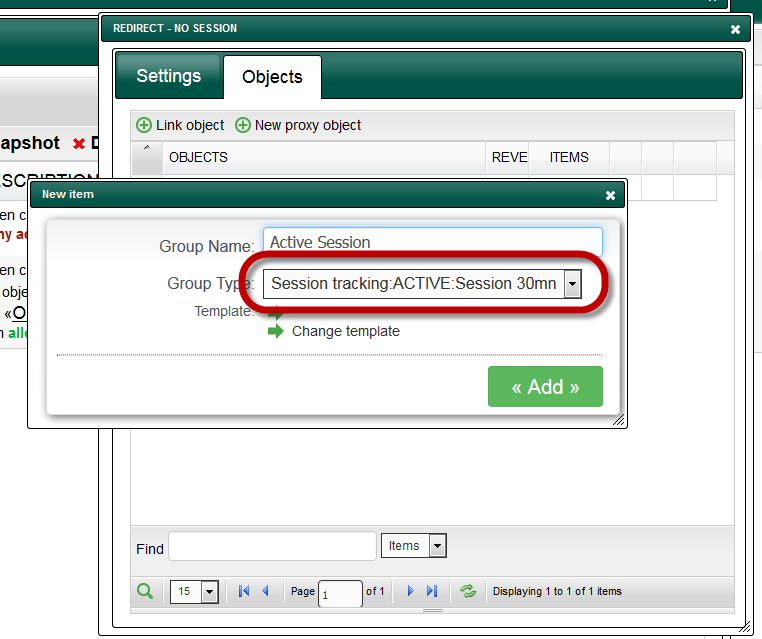 Create the SESSION/ACTIVE tracking ACL. 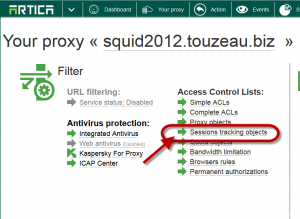 The session tracking will deny access if the session is not generated or expired. We will use a specific deny method. Instead generating a web error page, we force redirecting access to a remote web page. This remote web page will be able to display our IT Charter content with a button that redirect browsers to our defined item/uri/Webserver that establish a LOGIN session. 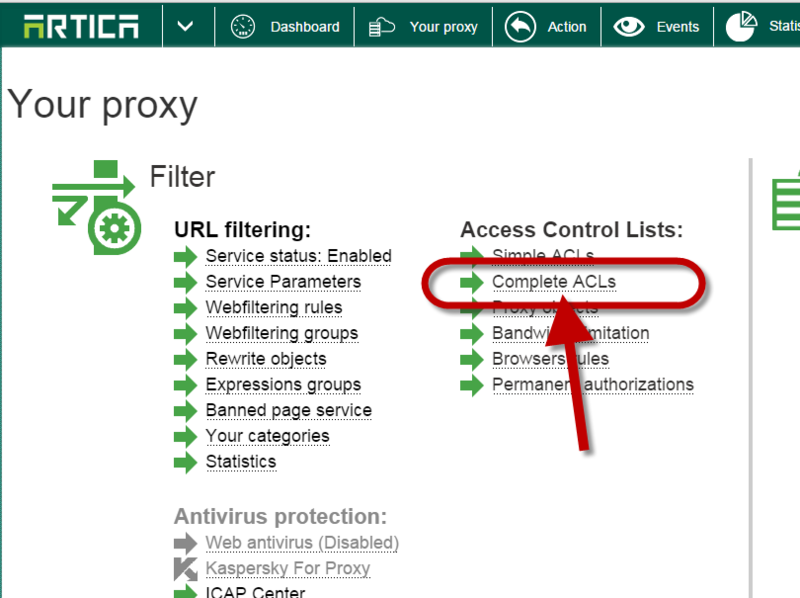 Create a new ACL rule that deny access. Set the redirect to the splash screen. Give the Template name and subject. 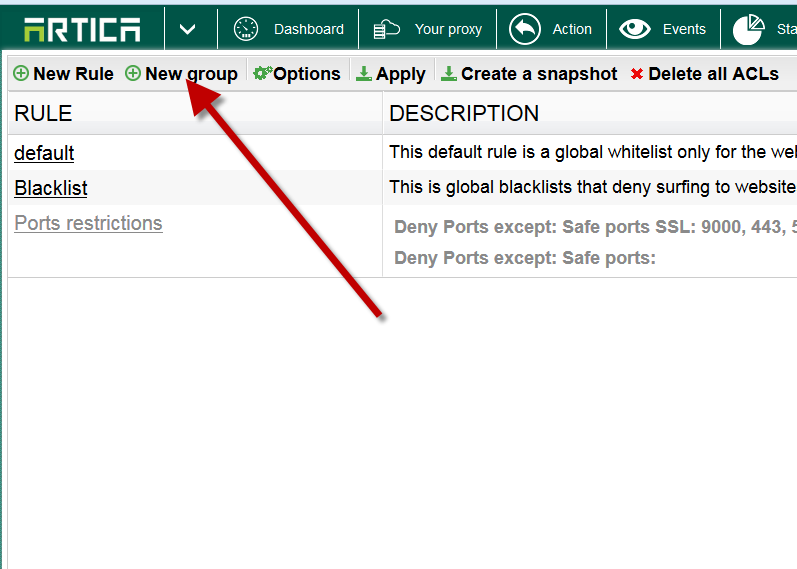 Enable the Use a Link checkbox. 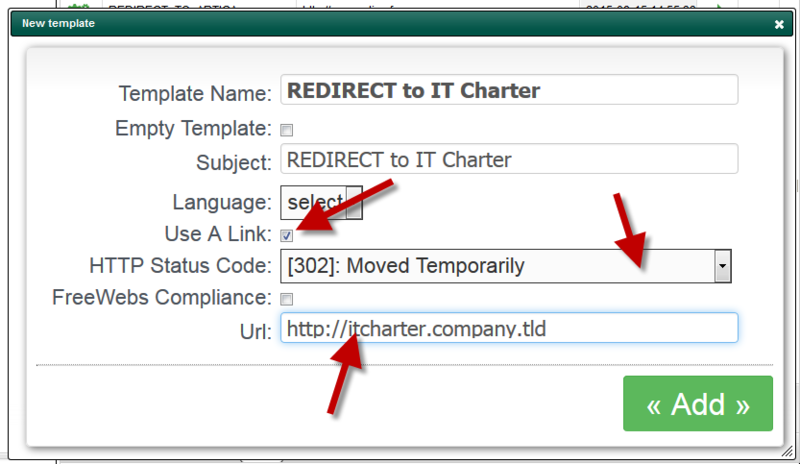 Choose 302 as HTTP status code drop-down list. 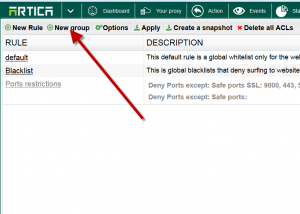 Set the url to your splah page in the url field. Your new template is added in the list. Select it in order to affect this template to the SESSION object. To finish, turn on the reverse checkbox on the SESSION object in order to say not. 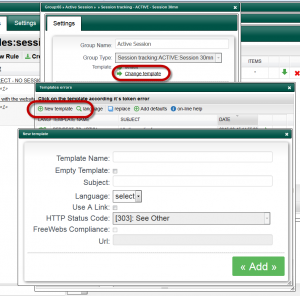 Order is important :First we need to allow access to the url/item that establish the session, second we deny users that did not have a session and redirect them to the dedicated page. The dedicate page must have a button that’s redirect to the url/item in order to establish the session. 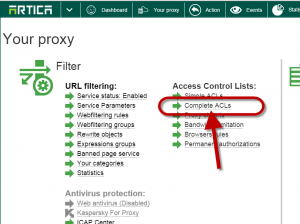 The redirect in SSL mode did not working, you can improve your ACLs by adding the HTTP protocol only or to say “NOT protocol connect” in the deny rule.